Welcome to Gregory P. Kracher, O.D. 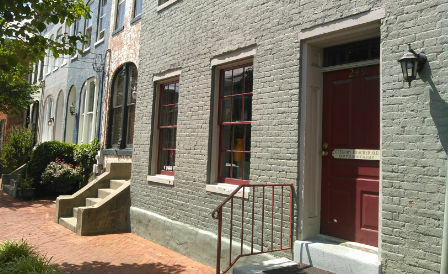 Proudly located in the historic and charming City Center of Frederick, Maryland since 1985, Dr. Kracher’s Optometric office is dedicated to complete family eyecare. Dr. Kracher has over 20 years experience in the design and application of contact lenses to eyes with corneal abnormalities like keratoconus or irregular astigmatism as a result of ocular surgery or trauma. Dr. Kracher serves as a consultant to the National Eye Institute and has served over 23 years at the Wilmer Eye Institute of Johns Hopkins where he held the title of Director of the Contact Lens Service. The Frederick office is also a preferred co-management site for the largest national laser refractive organization, TLC. Dr. Kracher’s many years’ experience at the cutting edge of ocular research and discovery at Johns Hopkins and the National Institute of Health enabled him to bring to Frederick, fifteen years ago, an optometric practice with extraordinary expertise.